Witamy! The secret ingredient in any dish is the flavor enhancer you don’t tell anybody about! Recently we were in the Kielbasa Factory, our favorite Polish deli, www.kielbasafactory.com, and just perusing the shelves of imported condiments. 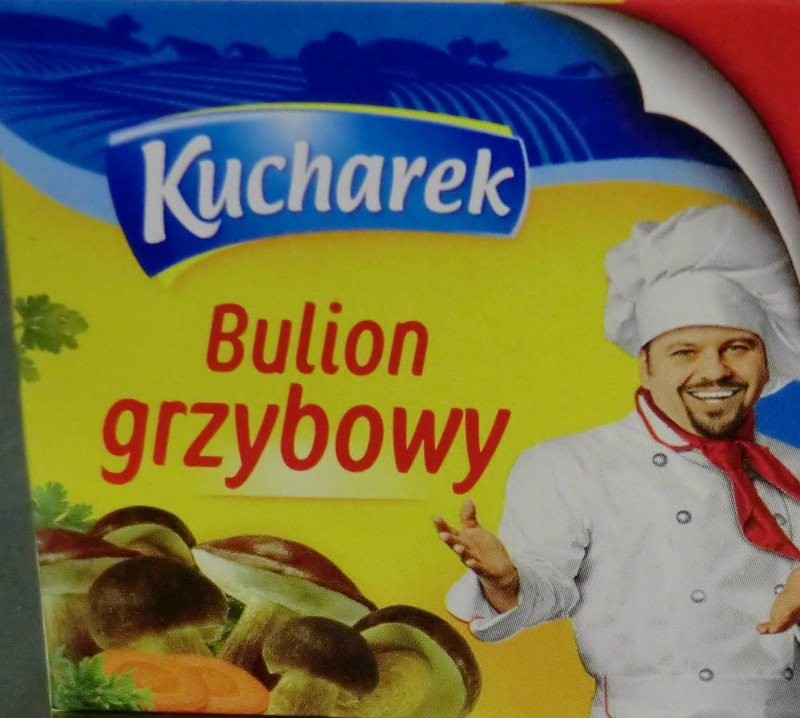 We saw this display of Mushroom Bouillon from Poland and bought a box, along with all the other Polish goodies that fell into our shopping basket. Laura tried it in a recipe that contained mushrooms as one ingredient. KAPOW! The depth of flavors that came out of that dish, after adding just a few ounces of the mushroom bouillon, was like night and day. Not only was the flavor of mushrooms more intense, but all the other ingredients tasted more pronounced as well. I guess it must have something to do with the chemical effect that flavor enhancers have on food. Salt is a flavor enhancer which chemically brings out flavors, so that’s why under-salting any dish leaves the other ingredients tasting bland. On another shelf at Kielbasa Factory, was a bottle of Maggi. We used to keep a bottle around in the fridge but pitched it a while back because it was several years old and had all this disgusting crud dried up inside the cap. Sound familiar? But I remember that my Mom was a big fan of Maggi, putting a few drops in many dishes. The label is pretty crazy because there’s not much “natural” about it. By itself it tastes like a very intense mix of soy and meat extract, though it contains no soy. Maggi has been around since 1872 starting in Switzerland. 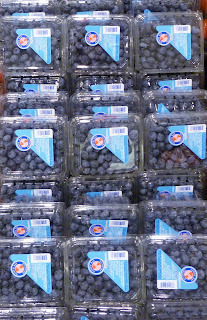 It has since become a well-known part of everyday culinary culture in Switzerland, Austria, Germany, and in Poland. A few drops in soups, stews, gravies, dark sauces, etc, go a long way. I just can’t get over how much better foods taste with just a few drops added to the recipe. It’s magic! 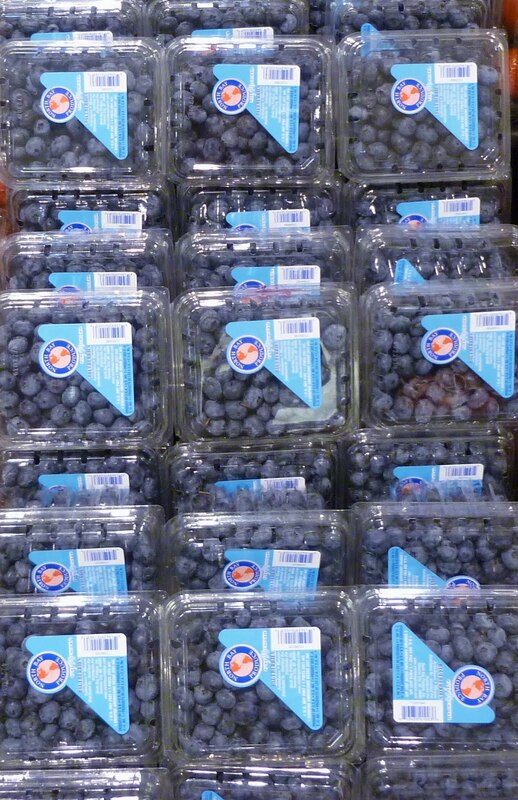 We do a lot of shopping in a Latino/Asian supermarket where the fruits and vegetables are cheaper than in our local American grocery store, plus they carry a lot of European products as well. One of the Latino seasonings is Sazon – a unique blend of spices and seasonings that enhances everything from spicy soups to hamburgers to chili. The box says it’s “magic in a packet” but the ingredients include coriander, annatto, salt, MSG, and a lot of artificial stuff I can’t pronounce. 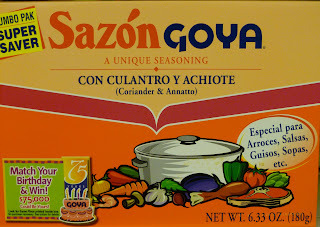 But it does enhance our flavors noticeably, and whenever we’re cooking spicy, Sazon get’s added liberally. So the bottom line is that using flavor enhancers can be the key to unlocking amazing flavors, and whether or not you reveal you secret is totally up to you...We won’t tell! Here is a Polish-style Beef Stew that is a great example of how a basic dish can be kicked up a few notches by using a flavor enhancer. Smacznego! Heat the oil in a large skillet. Salt & pepper the beef cubes. At the same time sauté the onions and brown the beef cubes on all sides. The onions should be golden. Transfer to your favorite pot and be sure to scrape all the brown crud from the skillet and add it to the pot – that brown stuff is solid flavor. Add the bouillon, tomatoes, green pepper, cucumber, mushrooms. Add mushroom bouillon or Maggi, if desired. Cover loosely; bring to a boil, then turn the heat down to low and simmer until meat is tender, up to two hours depending on the cut of meat used. Watch that the liquid does not all evaporate. Add water as needed. Just before serving, mix in the flour and sour cream to thicken the sauce. Sprinkle parsley over the top. Serve with a mixed salad, your favorite green vegetable and a hearty red wine. Witamy! Several of you have asked how the book is doing, so here is an update. We’re actually very pleased with how the book is being received...we’ve seen several very praising newspaper reviews and everyone who has flipped through the pages has loved it. The 100+ stunning photos have really been admired and a lot of folks have commented that they would never buy a coobook without a lot of pictures. 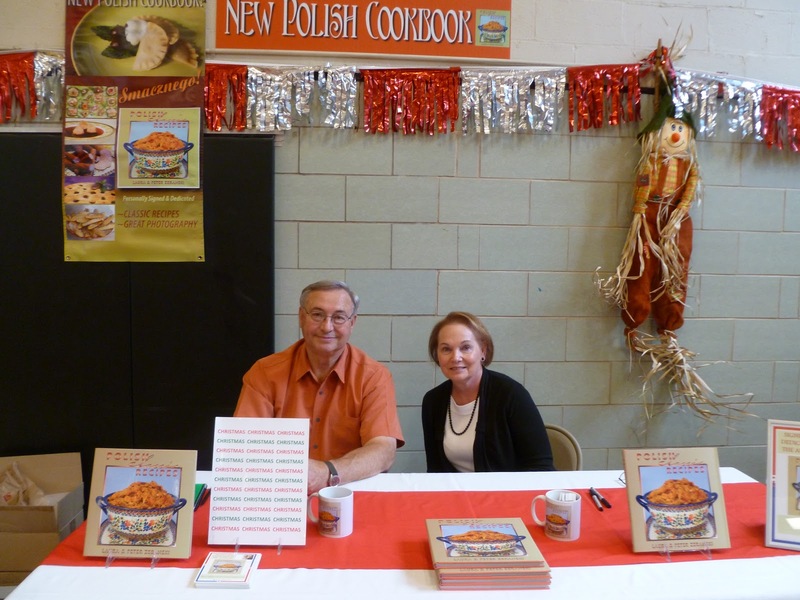 Over the last several months we’ve been to many Polish American church festivals up and down the east coast, from Long Island to Florida, visiting several cities such as Baltimore, Silver Spring MD, Doylestown, Pa. and more. With Christmas gift giving in mind, quite a few folks are buying multiple copies for their families and friends who don’t have access to the classic recipes. One gentleman bought 6 copies to give to each of his grown kids. Then there was our ex-neighbor who bought ten autographed copies for all her “foodie” friends who collect cookbooks. And there was the colleague I used to work with who also bought ten signed copies and declared that his Christmas shopping was done in one fell swoop! This weekend we have two signing events scheduled – on Saturday at Salt & Pepper Bookstore in Occoquan VA, and Sunday at the Kielbasa Factory in Rockville MD. As soon as that event is over, we’re hitting I-95 South for Florida, where on Tuesday the 22nd, we’ll be at The Villages, Florida, for a meeting of the Polish American Club there. We’ll be giving a presentation about the making of the book, and several volunteer members will be preparing dishes from our book for a tasting event. Plus, Laura’s Mom and Sister live in Florida not too far from The Villages, so that will give us a chance to enjoy Thanksgiving with them, while our daughter, son-in-law, and granddaughter spend the holiday with his family. We're generally pleased with the way our book is selling, but there have been a few surprises along the way. One is how the book is finding its way abroad. We’ve seen it advertized on several websites around the world, including in Germany, Australia and Norway. Another is that our publisher has told us that there may be some interest in Poland to acquire the rights and translate it into Polish...now that is a huge twist - a Polish cookbook, written in English and translated back to Polish - go figure! So it’s going well. We appreciate everyone’s best wishes for our success. And if you haven’t purchased a signed copy yet for yourself or to give for Christmas, just click the buy button at the top of this page. The PayPal process is really easy. Don’t let anyone ever tell you that Washington DC is not a food town! This weekend the Metropolitan Cooking and Entertaining Show came to Washington DC for the 6th year in a row. Thousands upon thousands of enthusiastic foodies came out to rub shoulders with celebrity chefs, attend cooking workshops, buy the latest autographed cookbooks, and sample the countless varieties of yummy foods. There were hot sauces, BBQ sauces, pasta sauces, dipping sauces, jams & jellies, cupcakes, cheeses, fresh herbs, olive oils, balsamic vinegars, wines & spirits and much more! The convention floor was jam packed with vendors, chefs, bakers, cookbook writers, and the occasional miracle mop, sharp knife and never-stick fry pan vendors. It was astounding! After cruising up and down the aisles for a couple of hours, our green “trick-or-treat bags” were stuffed with coupons, samples, brochures, and products we had purchased. 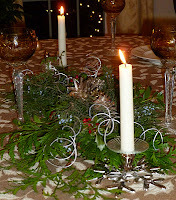 Plus, our bellies were stuffed with crackers, sauces, cheese, wine, cakes, beef dishes, and bunches of other goodies. Our taste buds were definitely on over-load. We can’t imagine that the food stalls did much business with all the free samples within arm’s reach. One of the most creative products we saw on the floor was a plant-based food called Cavi-art. For caviar lovers, this product has the taste, look and smell that amazingly rivals the real fish roe. Can you keep a secret? It’s actually made from seaweed...really! Cavi-art was developed in Denmark and comes in a wide range of colors and styles. I tasted several, including the salmon and beluga styles and loved them all. Check them out at: http://www.plantbasedfoods.com/. Finally, a big shout out to a local bakery called Cakes By Happy Eatery. 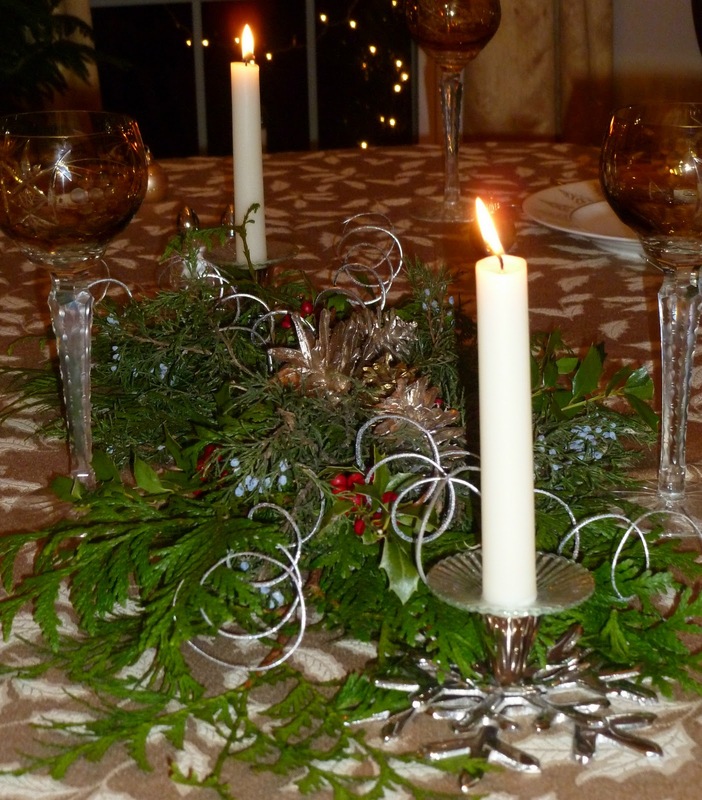 They have retail outlets in Centreville and Manassas, VA, and do private and corporate catering as well. Cakes, pastries and desserts for all occasions. We were invited to sample a range of their cupcakes. All flavors were great, but surprisingly enough the ones we enjoyed the most were their sugar-free and gluten-free varieties, both great choices for sinners with dietary restrictions. www.cakesbyhappyeatery.com. This is a great food show. Attendees get chances to shake hands (and maybe even the occasional hug) with popular TV stars such as Paula Deen, Giada, Guy Fieri, Jaques Pepin, and others. There are scores of expert presentations and workshops on topics ranging from knife skills to planning parties, and all things food in between. There were over 300 exhibitors showing off their best stuff. And it was a great opportunity to observe, learn, taste, and immerse ourselves in foodie heaven. In 2012, the show will be visiting Atlanta, Houston and Washington DC again. Watch their website http://www.metrocooking.com/ for exact dates. YUM! Witamy! 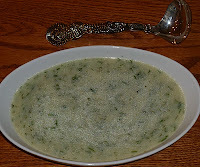 We recently received a request to share a recipe for Dill Soup. I don’t remember my Mom having cooked this dish so we fired up Google and started browsing through Polish cooking sites. After finding recipes on several sites in Poland, we concluded quickly, that this is about as “Polish” as you can get...showcasing the flavor of dill, which I’ve said over and over, should be declared the national herb of Polish cuisine. This soup is simple, fresh and a snap to prepare. Fresh is the best way to go! We buy all our dill in fresh bunches from a local Latino/Asian market. They carry it almost the whole year round and the taste of fresh dill is just so much more flavorful than the dried variety from a jar. The newly harvested bunches are sold with their roots still attached so we wrap the roots in moist paper towels, place them in a one-gallon plastic bag and keep them crisp and cool in the lettuce bin of the fridge. It’s easy to chop a few tablespoons from the bunch, and the dill stays fresh for more than a week. Laura looked at several different recipes, some of which have you making your own stock from meaty bones and vegetables. But she wanted to give you a simpler and easier version that could be made in less than 30 minutes. We had it for our supper tonight, with a side of Marinated Beet Salad (pg 25 in our book) which was featured in the September issue of Healthy Aging Magazine. YUM! Tough choices: Dill Soup can be served with either quartered hard boiled egg as an ingredient (as with the iconic sorrel soup), or with dribbled batter dumplings (lane kluski in Polish). This is my favorite; when I was young, “dribbles” were an infrequent treat, even though they are incredibly easy to make. 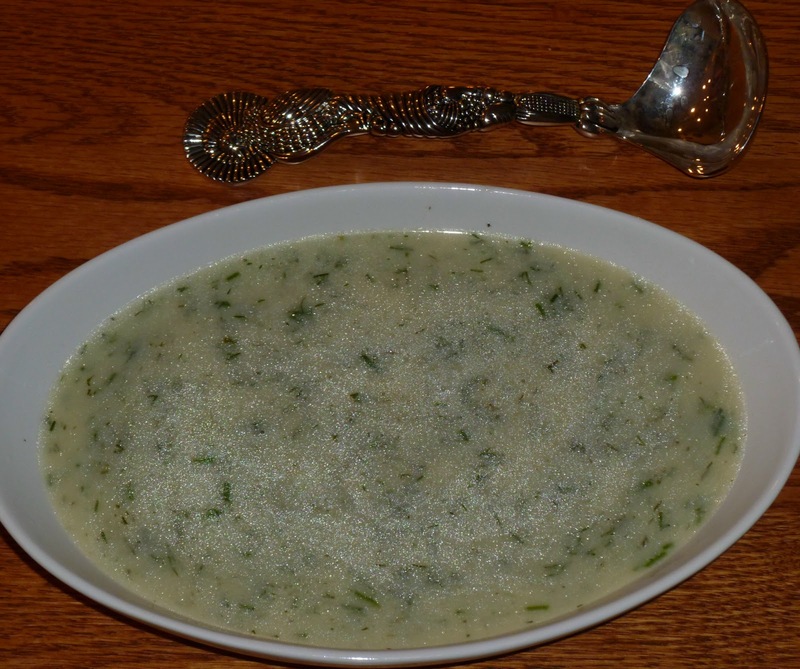 More choices: according to the recipes Laura reviewed, these days in Poland Dill Soup is also being eaten with potatoes (cooked in the soup), with rice, or even egg noodles. I'm thinking Orzo, but that's not aso Polish...regardless of the starch you choose, this is a tasty traditional soup dish that everyone will love. Smacznego! • Melt 1 tablespoon butter in a skillet, add ¼ cup dill and sauté gently over low heat for 1 to 2 minutes. • Heat stock to boiling and add the dill and butter mixture. 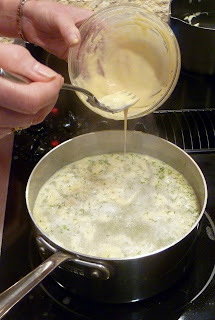 • Dissolve the flour in the cold water and add to the stock. Bring the stock back to a low boil. • If you are cooking the string dumplings (see below), dribble the dumpling mixture into the boiling stock and cook for one minute. Keep soup at a low boil to avoid disintegrating the dumplings. • Beat the egg yolk with 1 tablespoon of butter. Gradually add 1 cup of the boiling stock and stir well. Stir in the sour cream until the mixture is smooth. Return this mixture to the soup pot. • Simmer for a minute or two but do not boil. Turn off the heat, add the remaining dill, stir, cover and let stand for 2-3 minutes. • Mix egg with flour and salt. 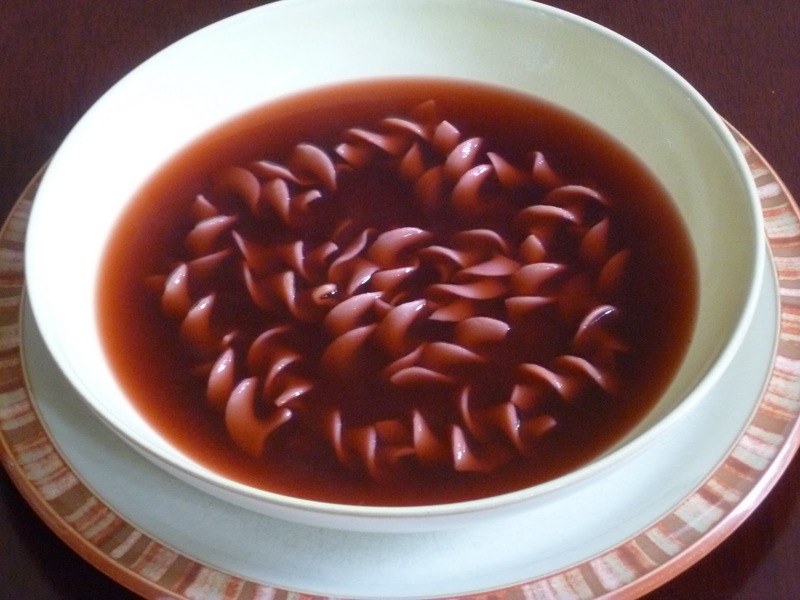 Beat with wisk or fork for 2 minutes. Dribble batter slowly into boiling stock from a spoon or fork. Witamy! Our readers really appreciate that Laura tested and retested each recipe to translate Babcia’s comments about adding “a pinch of this and a pinch of that” into specific measuring-spoon directions. That’s huge for someone who is just learning to cook, or doesn’t yet have enough confidence to put their own twist on something. And of course it’s huge when doing pastry because a big pinch or a little pinch of an ingredient like baking powder can mean the difference between a winning dessert and a total bomb. But the fact is that many of the world’s great comfort foods do not require specific measurements at all and thus are impossible to screw up. Examples exist in every regional cuisine: Louisiana gumbo, Polish Hunters Stew (Bigos), French bouillabaisse, San Francisco-style cioppino, Chinese stir fry, and so on. These are all dishes that were born from a need to create hearty meals from whatever ingredients were available from the land. Over time they were popularized by creative chefs into “haute cuisine” for which restaurants now charge a small fortune. 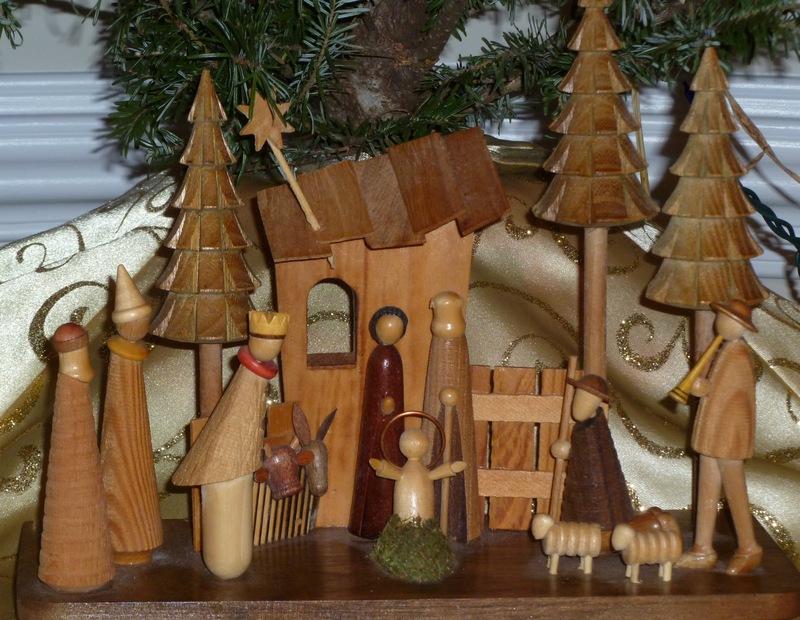 But their humble beginnings always remind us of their basic simplicity, and that anyone can make them taste out of this world, with very little precision and without detailed directions. Sausage and Cabbage (pg. 57 in our book) is a perfect example. While the printed recipe in our book has been perfected with exact measurements and proportions, it can be a tossed together for a wonderful supper by just mixing the basic ingredients, without stressing over the amounts. So let’s you and I make this dish the old fashioned way – a bit of this and a glob of that! In this recipe and others like it, more or less onion is up to you...more or less kielbasa is up to you...more or less potato is totally up to you. Success is ONLY about how the dish tastes to you – just chop everything into bite-size chunks and add the flavorings - but very cautiously. And keep tasting because you can always add more salt, but you can't take it back out. 5. Slice the sausage into bite-size pieces - ½ inch max. 5. Put the rest of the broth in a bowl, stir in the cornstarch, sugar and lemon juice, mix well and add to the pot. 7. Add half of the salt, pepper and caraway seeds and stir well. Let it cook for a couple more minutes and TASTE. Add more salt, pepper and caraway seeds if desired. 8. And that’s all there is to it - IT’S DONE! Serve with hunks of fresh rye bread and ice cold vodka shots, your favorite beer or a hearty red wine. Smacznego!